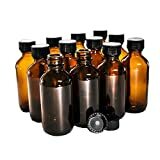 It doesn't fit neatly into a category or box, but the unique blend of four finishing techniques is unique, tasty, and well worth the low price of admission. Barrell Craft Spirits isn’t new. It’s been around a few years now, and we’ve never reviewed it on the site. Why? I have no idea. 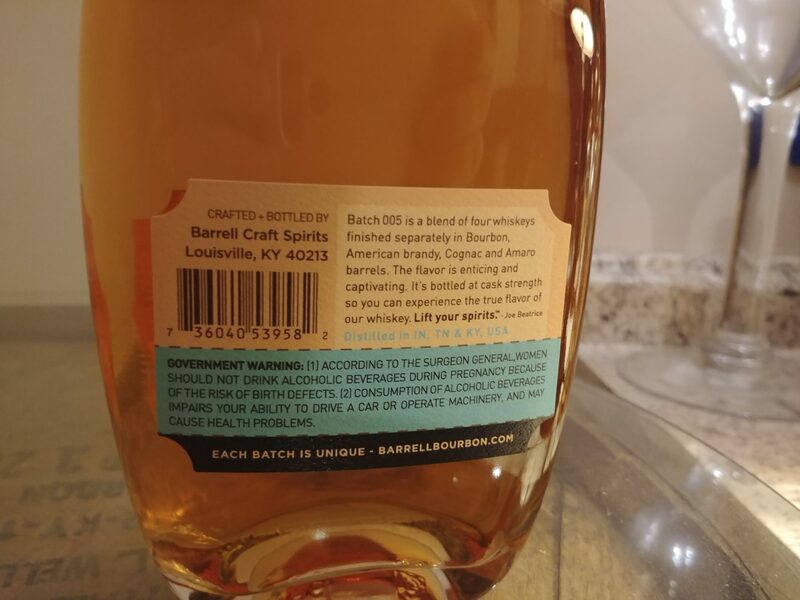 I’ve tasted and purchased a number of different batches of bourbon, rye, and whiskey from Barrell Craft, but I’ve never written up a review. The sad part about that? I’ve liked all the ones I’ve tasted. Some of them quite a bit. At their heart, Barrell Bourbon, Barrell Rye, etc are all blends of sourced barrels of whiskey released at barrel proof. 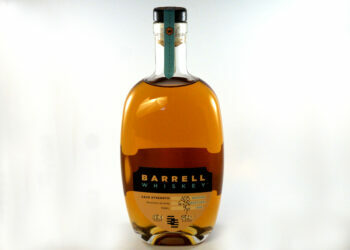 Barrell Whiskey is, as you might guess, not bourbon or rye. 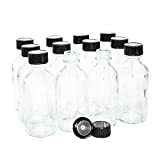 It’s whiskey- meaning the mash bill might not fit for a lot of classifications, or more likely it is aged in used containers. 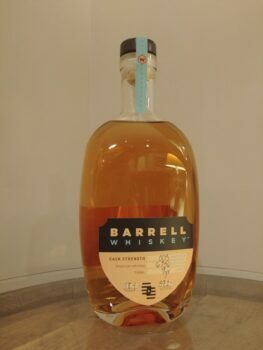 Batch 005 is a blend of four different whiskeys that were all finished in secondary barrels- Bourbon, American Brandy Cognac, and Amaro (a bitter-tasting Italian Liqueur), the youngest of which being 9 years old. 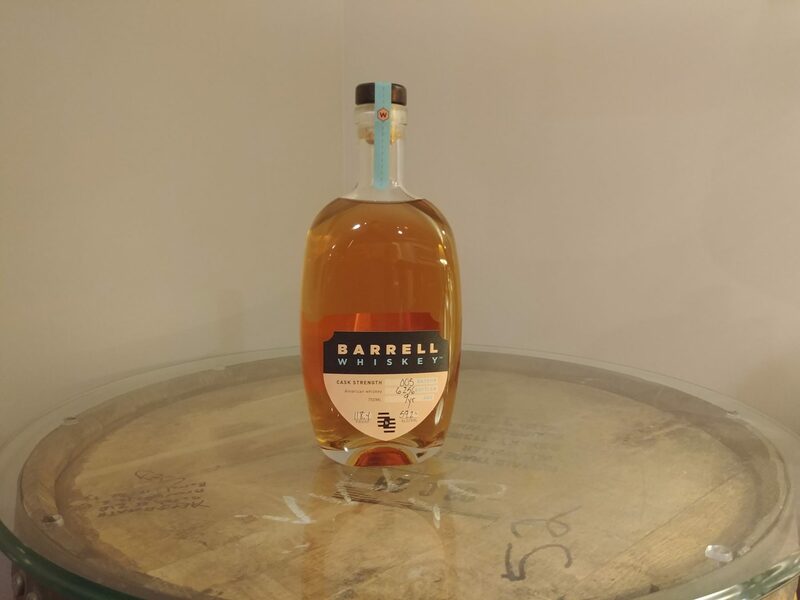 It’s bottled at barrel proof- a healthy 59.2% ABV (118.4º). The individual barrels were distilled in Indiana (likely MGP), Kentucky (unknown), and Tennessee (likely Dickel). I paid $53.99 locally. Light straw. It’s clear these were not aged in first-use barrels. Boozy and sweet with plenty of dark molasses, a rum-like character (interesting, considering Rum is one of the few spirits that wasn’t used in finishing any of the barrels), and a hint of dark fruit. Instantly spicy right down the center of the palate, the periphery is rewarded with sweet raisin, red grapes, and cloves throughout. There is a touch of green apple on the rear palate. 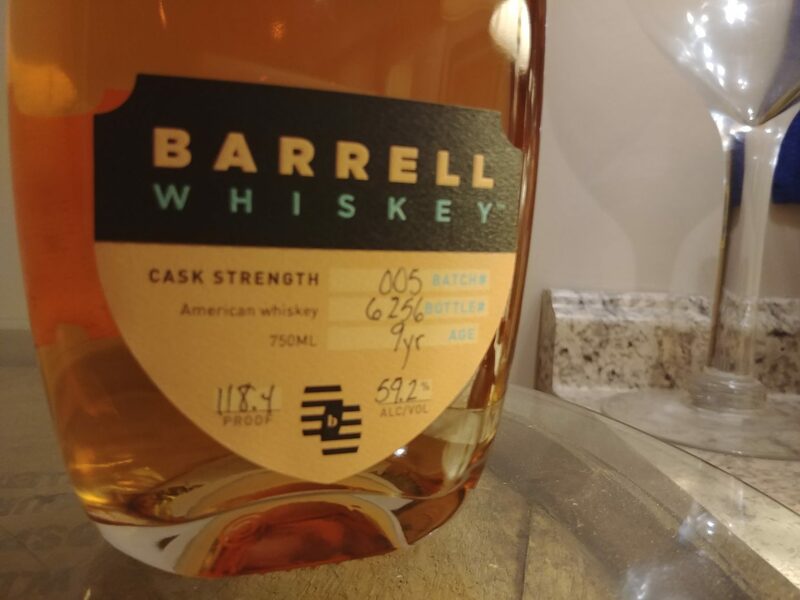 Long, complex, and ever changing, this just goes on and on, and I can seemingly find each of the barrel finishes at different stages of the finish. There’s bourbon sweetness, some snappy brandy apple notes, and the cognac is present throughout. I don’t know exactly what amaro tastes like, but there’s a sort of angostura note as well. Were this not labeled as whiskey, I might search a bit to find out exactly what kind of liquor it was after an initial taste. It’s super sweet and full of velvety depth with a ton of interesting notes on the finish. Whether that’s your cup of tea or not, I can’t say. This simply doesn’t taste like any traditional whiskey I’ve had, so it may not be for every palate. What is is, however, is a really good, unique, and interesting sip I’m happy to repeat over and over. Avoid this if you think finishing is a gimmick. If not, and you want to know how multiple finishes can be blended into something special, this is your jam. ModernThirst.com Score: 90 out of 100 points.